When William Booth first offered the gospel and basic social services to London’s underprivileged in the mid-1860s, he could not have conceived the global response to The Salvation Army. In 1881 it was Captain and Mrs Thomas Sutherland who first brought the uniform to Australia. Since then we’ve grown to an organisation encompassing hundreds of Officers who reach tens of thousands of Australians every year. And internationally we offer programs and services in more than 130 countries – bringing hope, assistance and compassion to the people who need it most. The Salvation Army's beginnings date back to July 2, 1865 when a Methodist minister commenced a work in East London that would encircle the world before the end of the 19th century. It began as the Christian Revival Society and soon after was called the East London Christian Mission. William Booth, the founder of The Salvation Army, preached the Gospel to the poor and underprivileged and by 1867 it had developed into a ministry offering basic schooling, reading rooms, penny banks, soup kitchens, and relief aid to the destitute. The ministry spread to places outside of London. The organisation grew rapidly and became known simply as the Christian Mission, with William Booth as its General-Superintendent. Booth's wife, Catherine, was a brilliant preacher and played a leading role in determining The Salvation Army's direction and doctrines; she became known as The Army's Mother. From the beginning, Catherine Booth firmly established equality for women to be ordained ministers of the gospel and to hold leadership positions within The Salvation Army. She wrote a pamphlet in 1859, Female Ministry, which was truly ahead of her time. It gave Biblical reasons as to why women can have an equal ministry with men. Read more about William and Catherine Booth. In 1878 came another name change. William Booth was perusing a printer's proof which referred to the Christian Mission as a ' volunteer army'. Booth swept his pen through the word ' volunteer' and changed it to read Salvation Army. The name was adopted. Elijah Cadman, an enthusiastic believer, excitedly proclaimed in a meeting soon after, "God bless the Captains of The Salvation Army! I should like to wear a suit of clothes that would let everybody know I meant war to the teeth and salvation to the world". A simple form of uniform was gradually adopted by its members. This, in 1880, was developed into a regulated uniform system. The full-time ordained ministers of the organisation were known as Officers and adopted military rank titles according to seniority. The part-time ordinary members were called Soldiers. 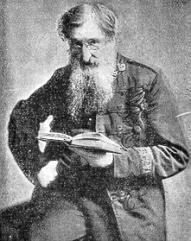 Instead of General-Superintendent, William Booth became The Salvation Army's General; this remains the title given to the international leader of The Salvation Army. The Mission-Stations (Churches) were henceforth entitled Corps. After responding to a call from America in early 1880, The Salvation Army next answered calls to commence operations in Australia. Read more about the Generals of The Salvation Army. Several localities lay claim to having held the first Salvationist meetings in Australia. These pioneering meetings were conducted by various immigrants who had been converted by The Salvation Army back in Britain. It is Adelaide, however, that owns the right to claim the first official Salvation Army Corps in Australia. John Gore and Edward Saunders were both converts of the early Christian Mission. They met unexpectedly in the colony of South Australia and decided to form a Salvation Army Corps in Adelaide. Gore and Saunders held a street meeting in the Adelaide Botanic Gardens. Gore's parting invitation to those standing around listening, reflected Booth's philosophical bent towards Christian ministry: "If there is any man here who hasn't had a decent meal today, let him come home to tea with me." Because there were no Salvation Army Officers in Australia, John Gore assumed temporary leadership in September 1880. Once established, the pair of pioneers appealed to General William Booth in London to send out an Officer. Captain and Mrs Thomas Sutherland were despatched on the S.S. Aconcagua, arriving at Adelaide in February 1881. The new officers arrived wearing the first Salvation Army uniforms seen in Australia. Thomas wore a scarlet jacket (ex-British Army), navy-blue trousers, and spike-topped white helmet, and Adelaide wore a princess robe-style dress with a small bonnet. They brought with them 12 uniforms, and were met by 68 converts and Army followers. Within three years, 32 Officers were commissioned and 12 corps formed, and on the third anniversary 3,600 soldiers mustered for the grand celebrations. In 1882, Major James Barker and his wife Alice were appointed by the General and sent from London to extend and establish The Salvation Army's work "in all the colonies of the Southern Seas". Intending to disembark at the Port of Adelaide, a wharf-strike forced the Barkers on to Williamstown, Victoria. Friends of The Salvation Army met them and took them into Melbourne, where the Barkers were so impressed by the potential of Victoria that they determined to begin work there. See our historical timeline for more key moments in history. 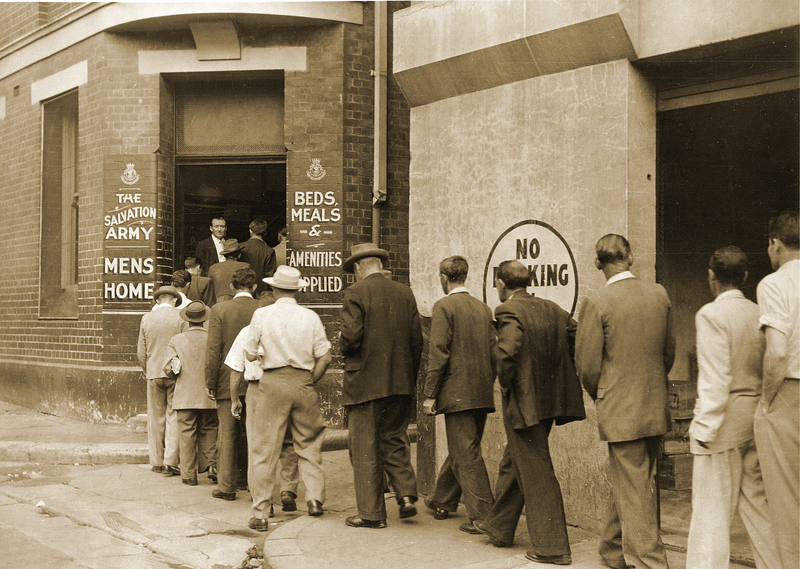 Read more about our history of social work in Australia. Learn more about our work with the armed forces in Australia. See profiles of notable Salvos. Read more about the beginnings of the Red Shield Appeal. Go to the Historical Society website.